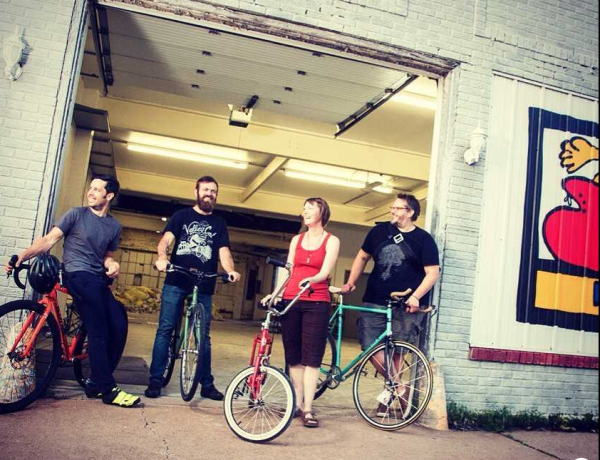 Eau Claire&apos;s downtown scene welcomed a new face to Graham Avenue: SHIFT Cyclery and Coffee Bar. A creative little shop downtown combines two of Eau Claire&apos;s favorite things, coffee and biking, and it&apos;s an instant hit. SHIFT is a small, niche coffee shop that repairs bikes and sells new and used bikes and gear. One of the business partners, Sean Brandenburg, said the idea to combine a love for coffee and bicycles is not a new concept. "It&apos;s something that bigger cities have. We&apos;ve all lived in cities that had places like this and thought Eau Claire needed a place like that. It&apos;s a place for people to gather, hang out, try new things, be active and enjoy a coffee." 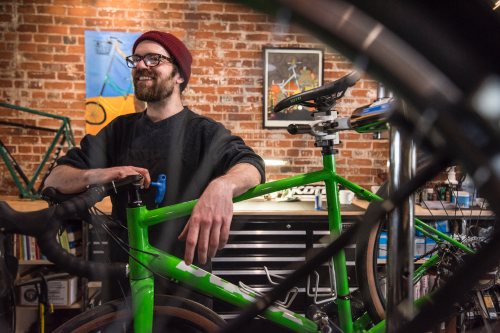 Aaron Salmon, another partner, said the beginning of the business came together organically and was designed to be a hub for the bike scene in downtown Eau Claire. The building sits quietly on Graham, waiting to be discovered by the next wide-eyed biker or coffee-lover. In the warm weather, the sizeable old garage door stays open, and passersby can look in to see the coffee bar, looking in on customers who may be waiting for a coffee or for their bike to be repaired. The high ceiling and open space beckon the potential curious customer to come inside, order a coffee and watch the repairmen just beyond the coffee bar working expertly on bikes. "It&apos;d be hard to move elsewhere. (This space) is a character of the story," Salmon said. That it is, and a warm and welcoming character, too. Colin Carey and Gabe Larson, two employees who specialize in SHIFT&apos;s coffee-making, want their customers to know that their coffee is high-quality and made by local experts. Some customer favorites at SHIFT include the nitro cold and regular cold brew, as well as the classic lattes. SHIFT takes advantage of using all-organic milk from Sassy Cow and is known for their iconic pour-over coffee. As soon as the doors of the renovated old brick building opened on March 9th, 2018, the partners knew they would like to expand eventually. Their menu also includes street waffles, but Salmon said they hope to add more food options which may include breakfast and lunch options. I predict that big things are coming from this little shop and can&apos;t wait to see them happen. 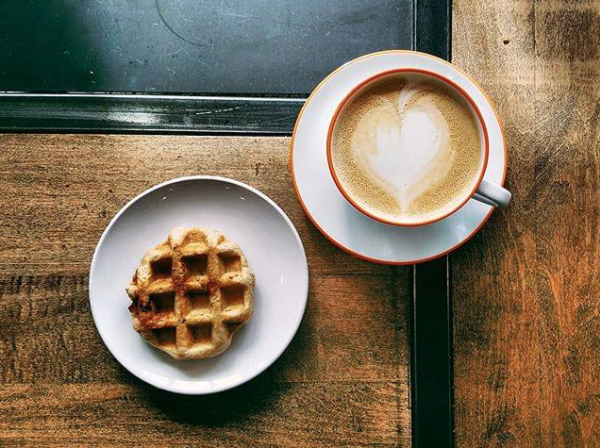 Don&apos;t forget to share your photos of your bikes, coffee and waffles while visiting SHIFT using #CaptureEC.